I still remember as a kid, how much I used to love comics characters. Same are these manga comics created in Japan or by creators in the Japanese language. There are loads of manga websites available on the internet but to help you decide which one to choose, I have decided to compile a list of manga sites which are not only popular among each and every manga lover but will also let you to read manga online . The best thing about these manga websites is that it is available in each and every genre. These manga comics will cover all your favorite anime characters. When you will start reading these manga online, you will definitely feel these anime characters come alive. You can also try these mind blowing manga apps for iOS to read your favorite manga on iPhone and iPads. MangaPark is one of the best and popular Manga websites which allows you to read Manga online on your laptop, PC or mobile device. It has a huge collection of manga stories. You can easily search any of your favorite comic stories and read them online for free. This website is updated in real time so that you can get and read latest comic. It is good, simple, easy to use with amazing user interface so that you can easily get your favorite Manga. Manga Reader is another popular and reliable website which allows you to read manga online for free. It is an amazing website with a huge collection of Manga comics to read online. It is a Japanese comics website with unique story line and style. You can easily read any of your favorite manga online. In this website you can also get thousands of free English translated manga scans to read online. Manga Here is an all time favorite and popular manga website which allows to read online manga comics. It has a collections of more than 10,000 Free manga series to read them online . 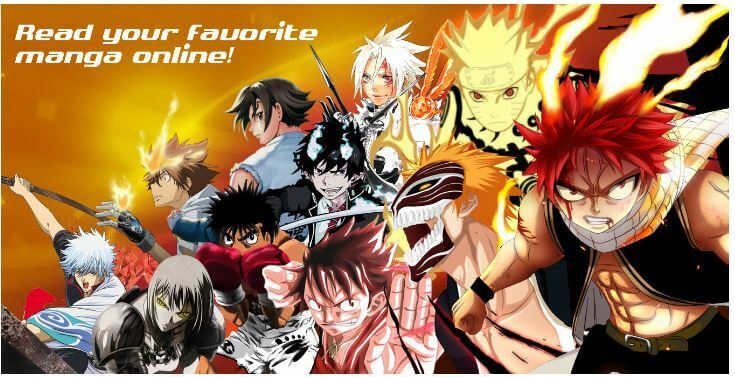 It is a popular website for manga lover so that you can easily search your favorite manga character. All series are listed according to their genres, latest, and popular in this website. 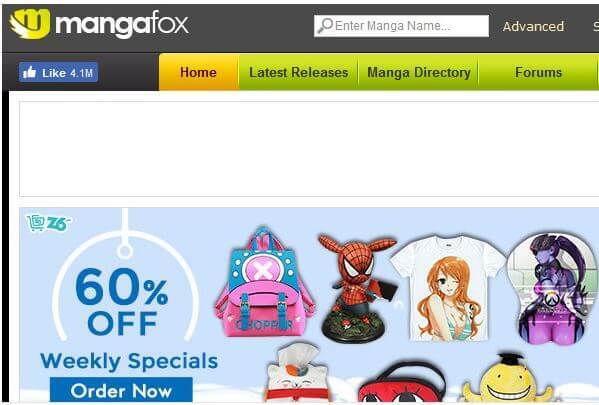 Manga Fox is another manga website with a huge collection of manga series. You can easily search your favorite series and read them online for free on this website. It also allows you to download your favorite manga series to use them offline on your laptop, PC or mobile device. This website is 100% free, easy to use with amazing user interface. You don’t have to signup or login until you don’t want to download the file from the website. Manga Stream is a quit popular and one of the best manga websites which allows you to read online manga for free. You can easily search any of your favorite manga books on this website. It is easy to use with amazing user interface where you can easily find your book to read online. You can search books according to their title, genres, and other to read.One of the best feature of this website is to allows you to submit a color page on this website. Manga Panda is a popular manga web service which allows you to read online manga for free. You can easily search your favorite manga stories and read online on your PC, laptop or smartphone. It is a free manga website where you can easily download or read your favorite manga series. 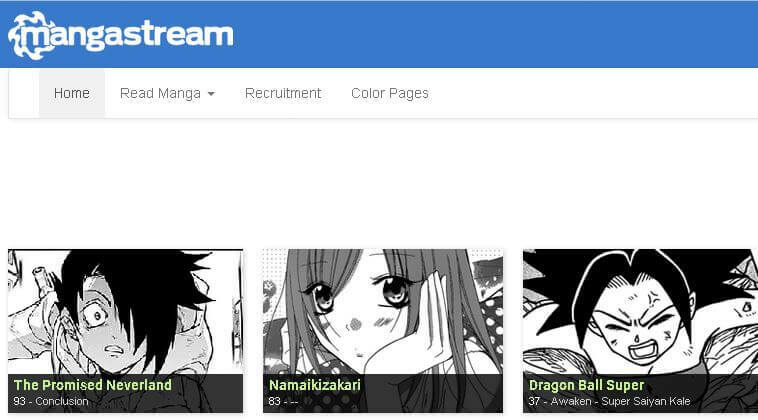 One of the best feature of this website is to allows to search any manga series by its popularity and also manage your manga list for free. Comixology is a paid manga websites which allows you to read online manga series after pay a minimum charge. It also has an amazing collection of manga series to read online. You can easily search any of your favorite series on this website. It provides legal and original manga series to all users. You can also manage your books after creating an account on this website. MangaFreak is a latest and popular web service which provides all manga series to read them online. It has a huge collection of manga stories and series. You will never miss any series and story and never get bored reading there stories. You have to easily search your favorite story and get free story to read without download. It doesn’t support download so you can’t read stories offline. 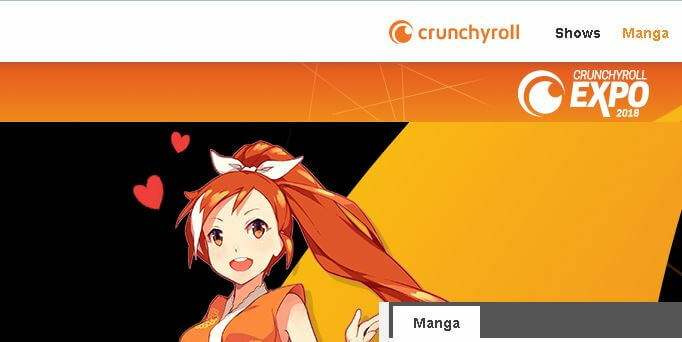 Crunchyroll Manga is one of the best an popular manga website for all users which allow you to get your favorite manga story or series for free. It is a free website with a huge collection of manga story. You can easily search any of your favorite story and read online for free. It has an amazing filter option which allows you to filter your favorite story according to your interest. Viz is another popular manga site which allows you to read manga online on your laptop, PC or smartphone. It provides a legal and original manga story and series. You may have to pay before read your favorite story or series on this website. Along with reading it also allows you to watch online manga series on your device. You can also track your read and watch list after creating an account on this website. Kodansha is a new but popular manga website which allows you to read any of your favorite comics online on your laptop, PC or smartphone. It is a free web service where you can easily search any of your favorite manga story to read them online from it an amazing manga collection. It is an amazing website with good user interface so that you can easily use this website and read your favorite comics online. BookWalker is another better option to read manga online for free. It is owned by a Japanese publishing company, KADOKAWA and allows you to get your favorite manga online. It provide original content so that you can get unique stories for free. This website provides a paid service but the best feature of this website is to allows you to try the book before purchase. You can easily get the story and book by their title or genres to read and purchase. E-Manga is a new an popular manga website which allows you to get latest and old manga stories and comic stories to read online for free. It is simple, easy to use with an amazing user interface so that you can easily get your favorite manga series for free. It allows you to get your favorite series by their title, name, genres, formats, publishers and others. All of the data on this website is original and legal so before use any of series you must have to create an account on this website. Gen Manga is an best and popular website for manga series which has a huge collection of manga series to read online. You can easily search any of your favorite series and story and read them online for free. One of the best feature of this website is to provide a download facility so that you can also read story offline on your smartphone, laptop or PC. You can use this website and read story offline anytime and anywhere without having internet connection. Net Comics is last manga website in this list but it is also as popular as other listed in this list. It has a good user interface and allows you to get any of your favorite series and story to read them online for free. It is free website so that anyone can easily use this website without any registration or any payment details. You can easily search any of your favorite comic story by their title, rating, author or other features. Kiss Manga is one of the famous website for reading the manga. The website developer has dedicated a full section to the Manga list. To all the readers delight, they have also included comics list which is rare to find on the website which have manga comics list. They also provide you with the option to read novel, watch anime and have forum as well if you have any questions. They are free manga websites and one of the best website to read manga online. Hence I would recommend you to definitely give them a try. Another website with great content and great source for Manga lovers. Bato provides you with all the exclusive Action, Adventure, Psychological, Sci fi, Slice of life, Romance, Supernatural genres. They also have extensive licensed titles and active forum for Manga fans to post their thoughts. Bato is one of the best website to read manga in Drama and Romance category. They also provide popular category which has most read manga series along with Latest release. Manga kaka Lot offers you a wide range of manga comics. They have designed their websites neatly so that there is no hindrance with the user’s experience. The best part of the website is that, I was not able to find a single advertisement on their website. Developers have kept various categories keeping the user’s ease in their mind. The categories include latest manga, hot manga, new manga and read light novel as well. 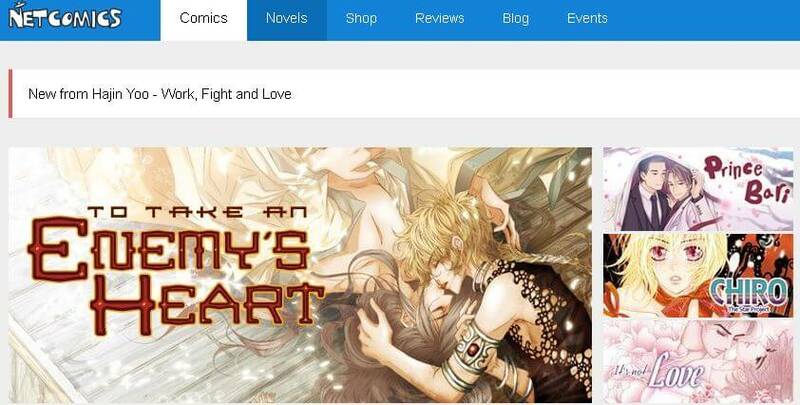 They have also posted Genres section so that it is easy to find and read manga comics for the user. I hope you might have enjoyed our collection of these manga websites. If you want us to include any other manga website that you love, please let us know in the comments section. You may also share this article with your friends who are manga lovers and people who look for manga online. ZingBox is famous for its 100% free manga comics that you can read without login. All you need to do is to visit them and click on your favorite manga comic and start reading. This is absolutely easy to use and no complications added. They claim to have efficient and huge database. If you are a regular user of Zing Box then you definitely know that you can read your loving manga comics any where anytime without login absolutely free. The best part that I liked about Zing Box is that you can also show case your talent and publish your comic instantly. Zing Box is no doubt one of the best manga websites that you can use as a we all love manga comics. My reading Manga is plain and simple website for all the true manga fans. It is no doubt one of fastest loading website among all the manga websites that I have listed here. It has very less to no advertisements. This is just great for user experience. It has all free to use manga comics that you will enjoy to read and pass your time. The developers have mentioned that they would be keep on adding new and latest manga series so that the readers are up to date. There is no cost associated with any of the manga comic here, hence it is a total heaven for all the manga lovers.